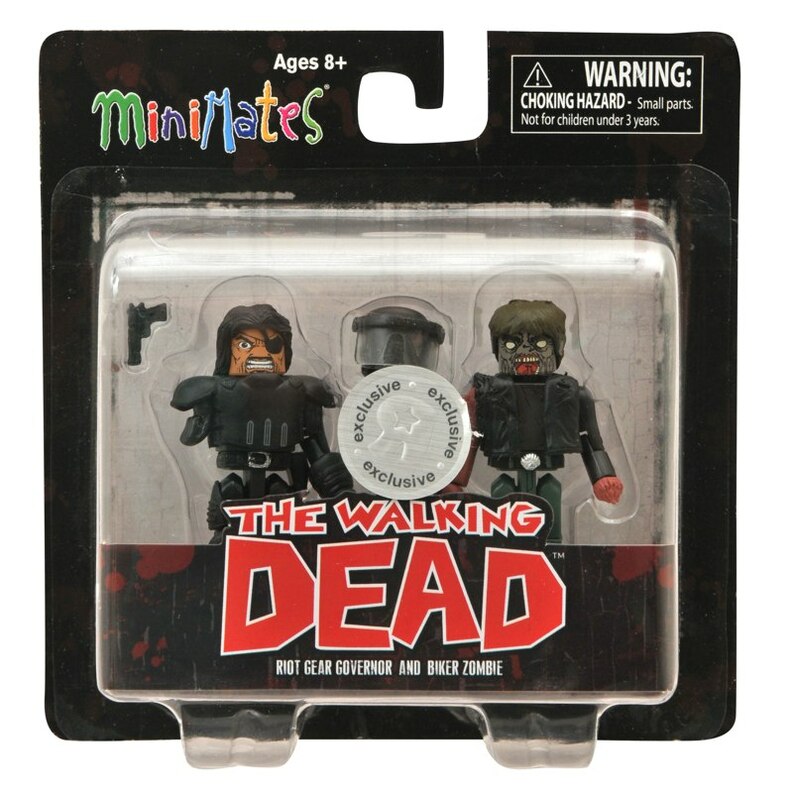 Walking Dead Minimates Series 4 are All Wrapped Up! 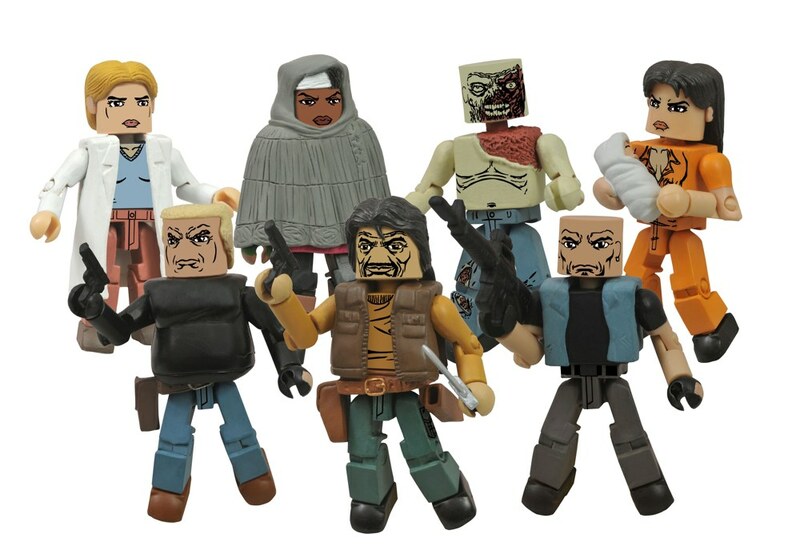 With the prison-themed Series 3 of The Walking Dead Minimates flying off of shelves, fans of the hit comic book have been wondering when we’re going to start seeing the next assortment in stores. 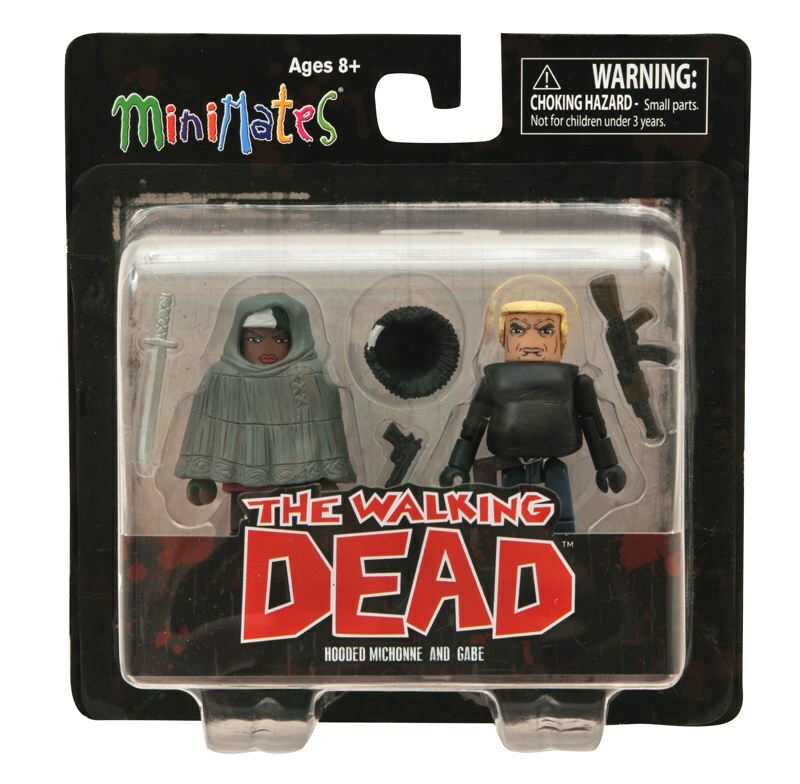 Well, they’re getting closer, because we just got our hands on packaged shots of Series 4! 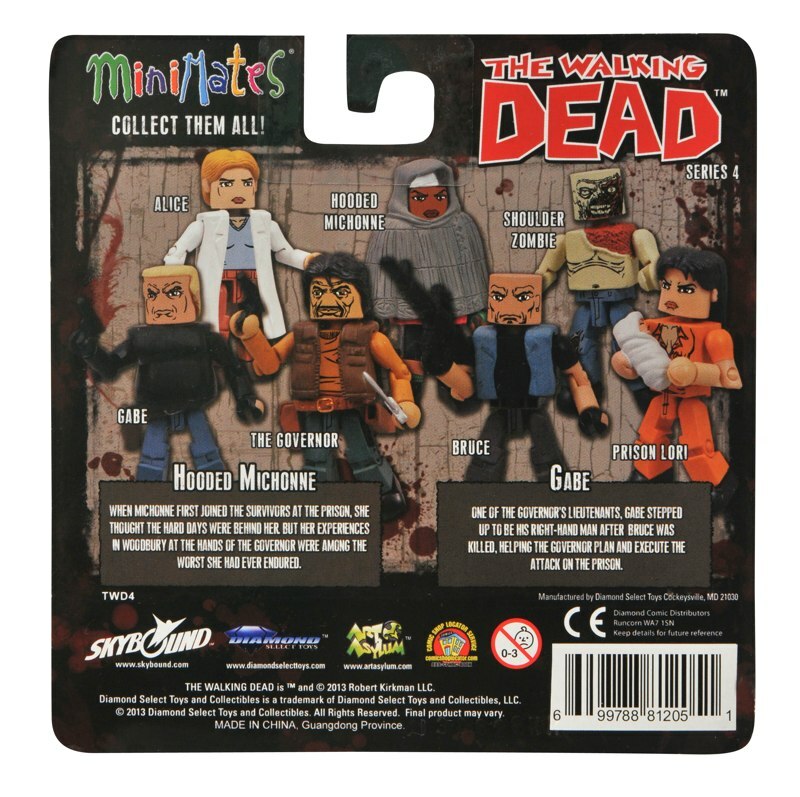 Picking up where Series 3 left off, Series 4 brings us two separate assortments inspired by the prison story arc. 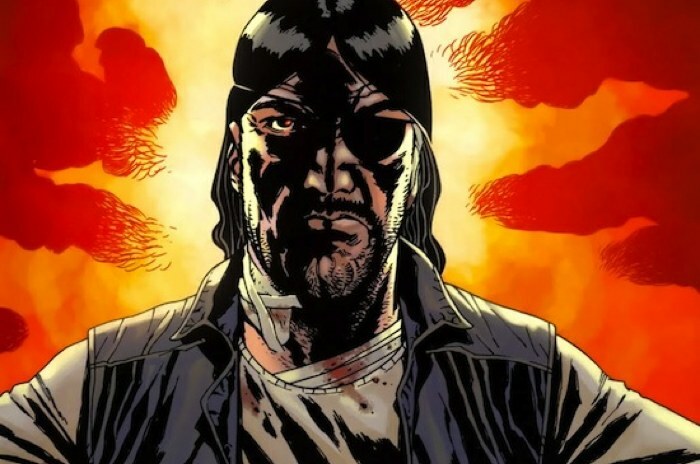 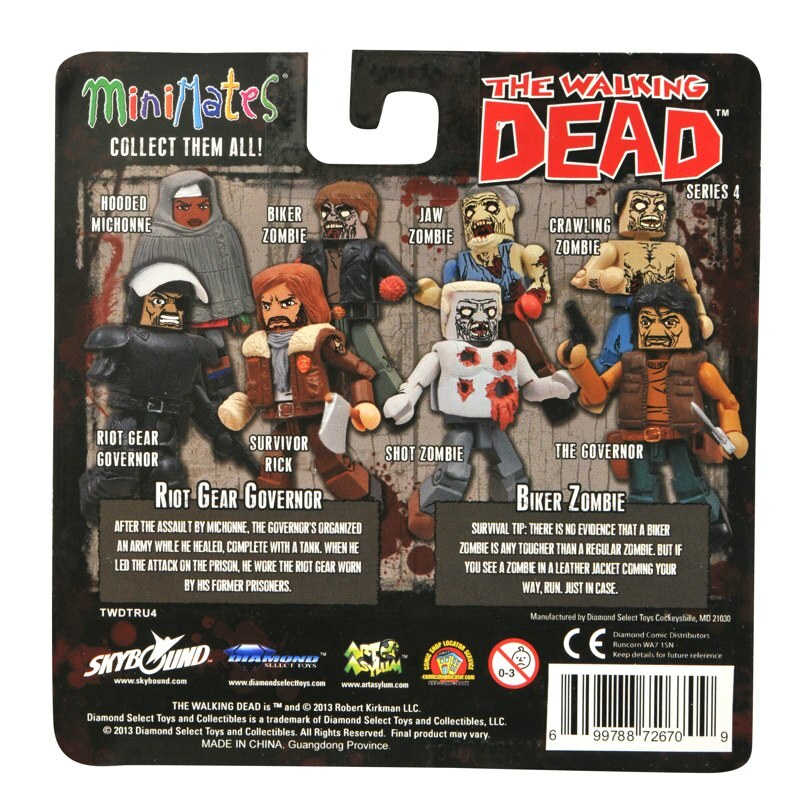 At comic shops and specialty stores, fans can collect four different two-packs: The Governor with his lieutentant Bruce, Hooded Michonne with Gabe; Rick’s wife Lori with baby Judith and a Shoulder Zombie; and the short-packed variant, prison doctor Alice with Shoulder Zombie. 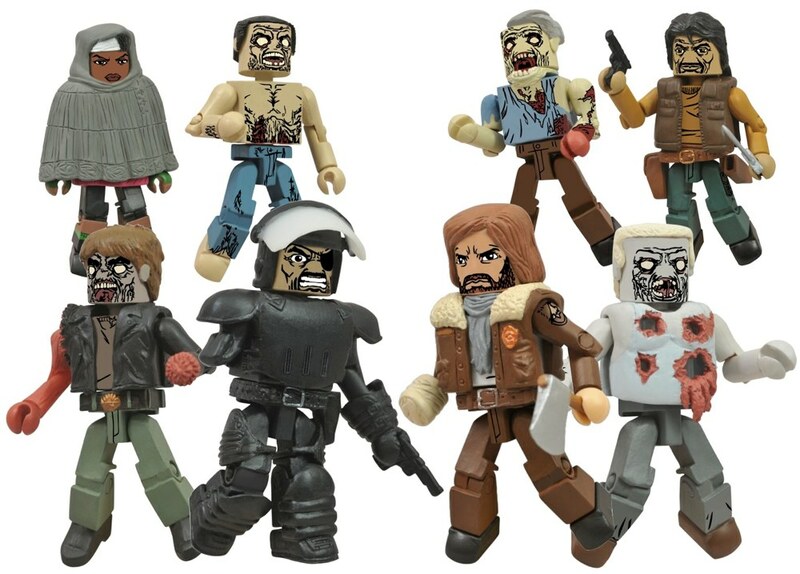 At Toys “R” Us, the line-up will be almost completely different: Hooded Michonne will come with the Crawling Zombie, the Governor will come with the Jaw Zombie, Survivor Rick will come with the Shot Zombie, and Riot Gear Governor will come with the Biker Zombie. 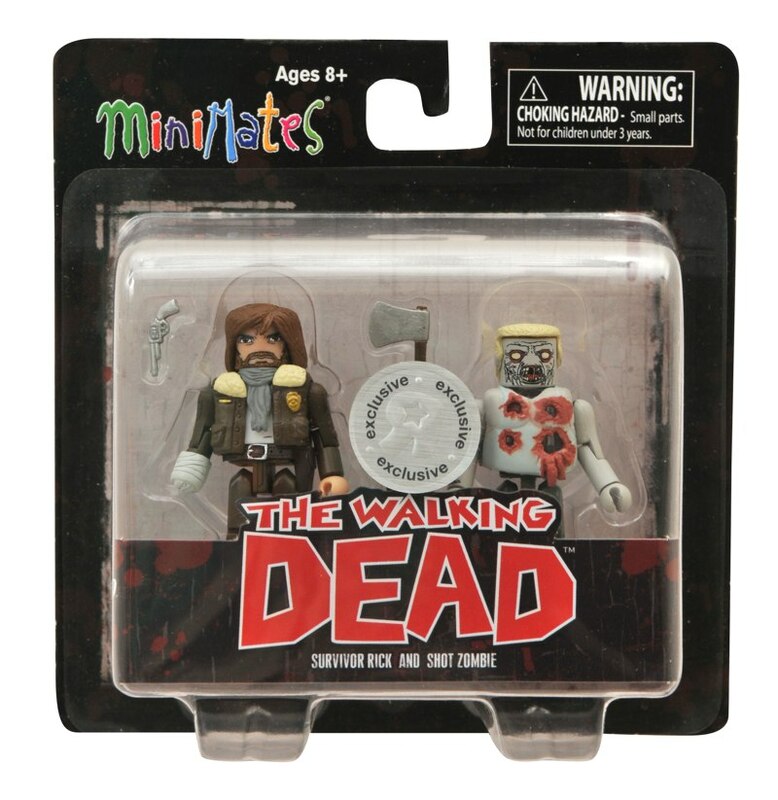 Look for both assortments to hit stores sometime in September, and reserve the specialty assortment at your local comic shop! 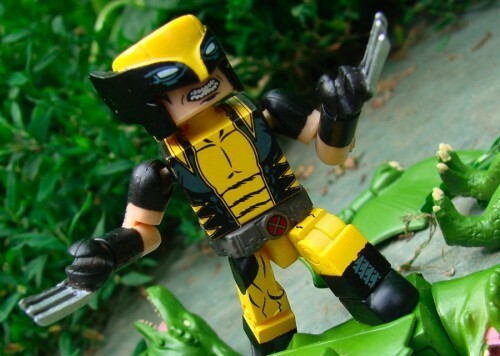 Next Up: Marvel Now Minimates are Now at Toys “R” Us! 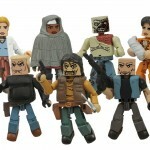 New Photos! 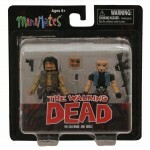 Walking Dead Minimates Series 4 Coming to Toys “R” Us! 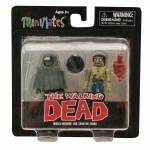 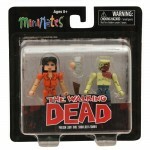 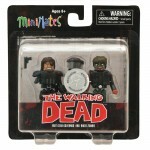 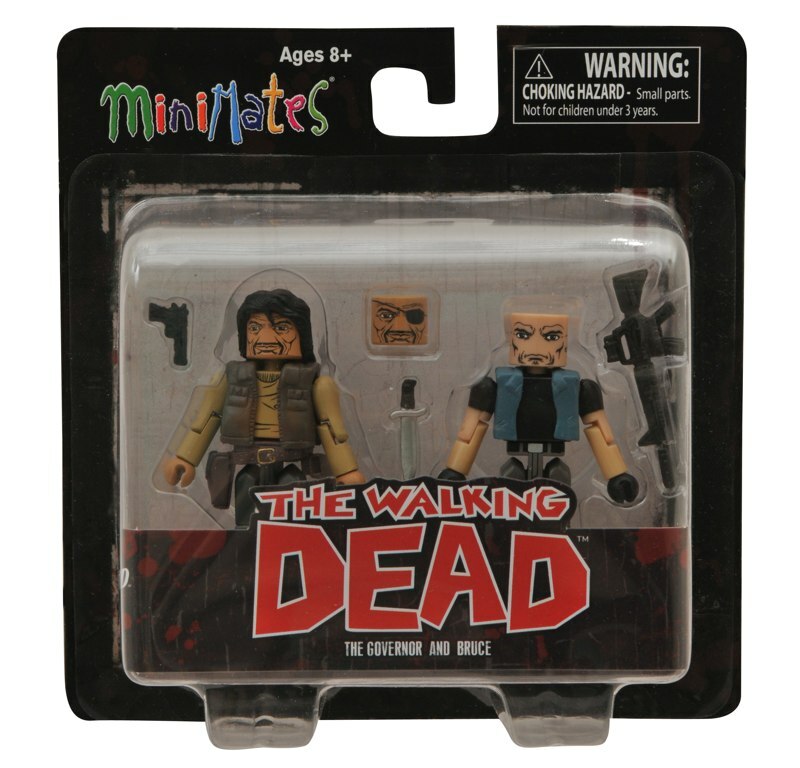 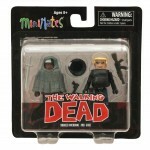 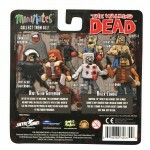 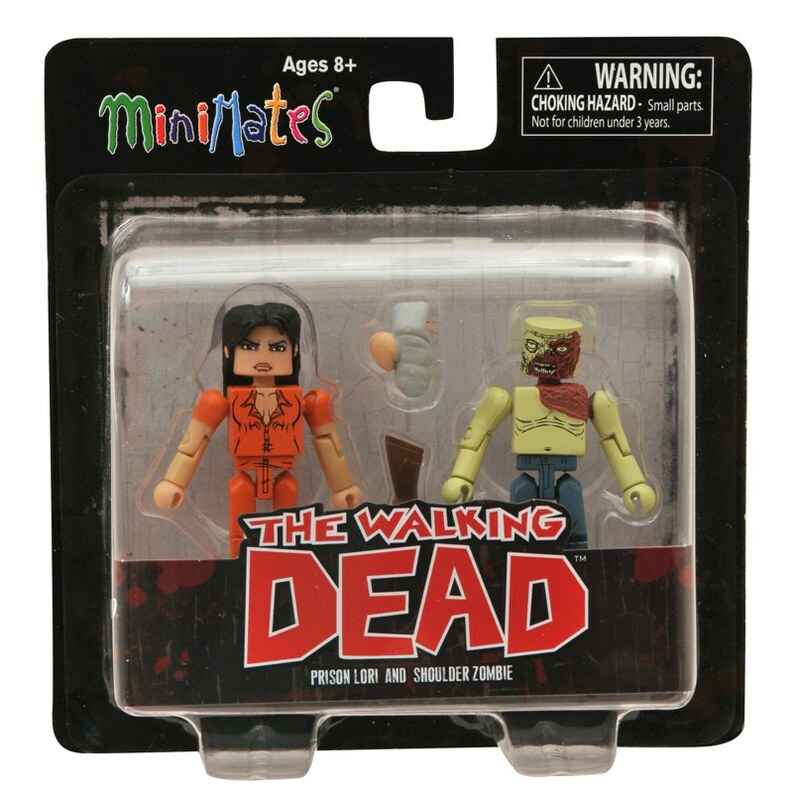 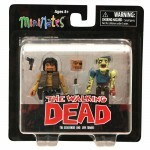 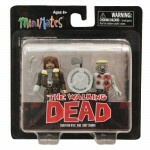 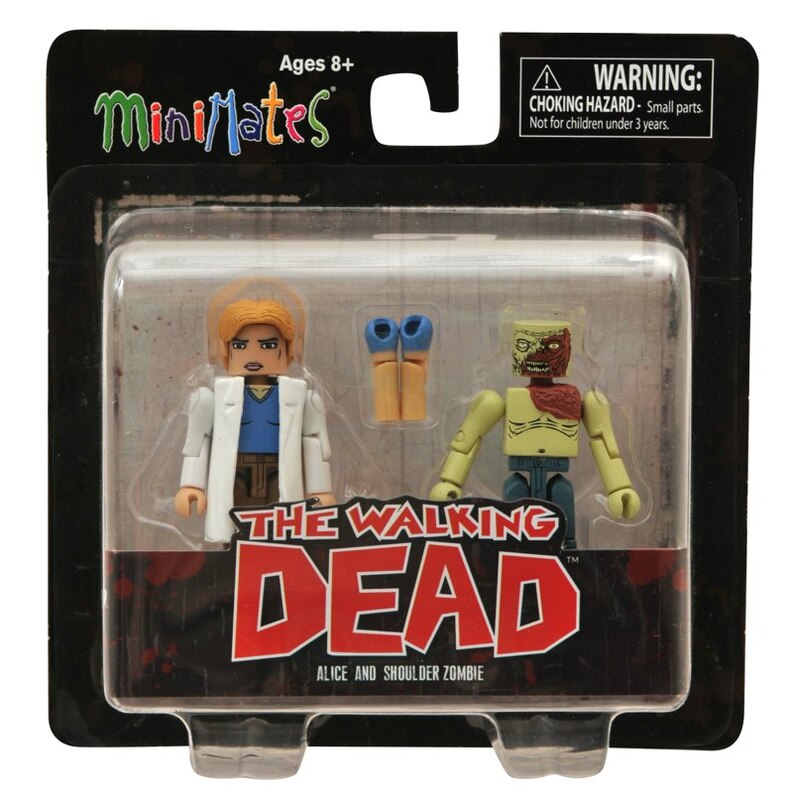 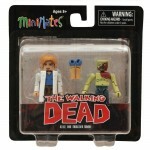 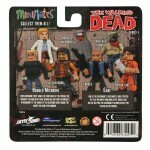 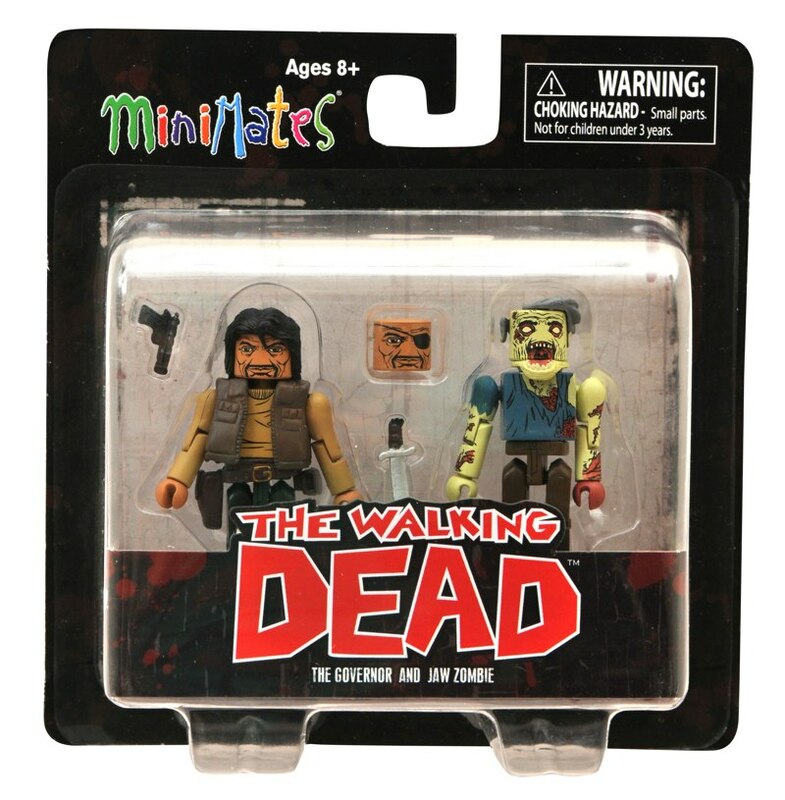 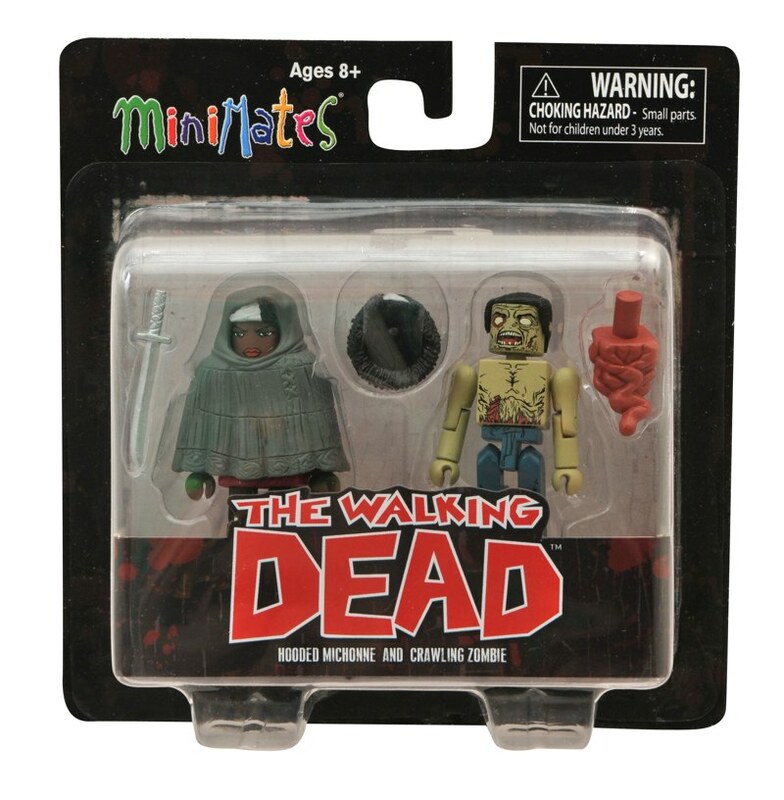 Walking Dead Minimates Series 5 Gets New Packaged Photos! 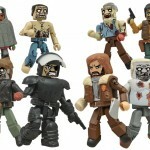 The Walking Dead Minimates Get New Series 4 Photos!